This poor dog named Emily was locked in an empty, filthy cage on a dog meat farm in South Korea. It was a scorching hot day in July when rescuers from the Humane Society of the United States went to the meat farm and saw her. Emily was in horrible shape. She had been living in isolation, and her paws were raw, swollen, and in so much pain from standing on wire floor. 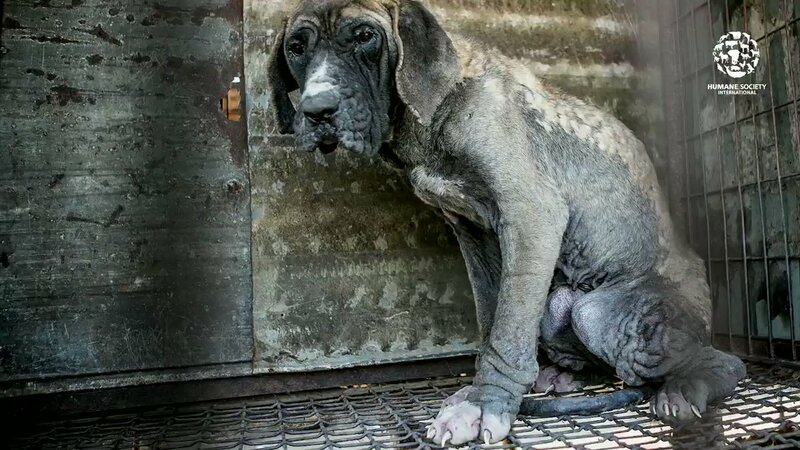 She also had very little hair and was suffering from a severe case of mange that had never been treated and would only get worse. Emily had lived such a horrible life, but it was only about to get worse since she was going to be slaughtered. Luckily, rescuers got to her just in time to save her from this nightmare. They were also able to rescue all 130+ dogs that were at this meat farm with Emily! Emily was rushed to an animal hospital where she was examined and treated for her ailments. Today, she looks like a completely different dog. Her transformation is absolutely jaw-dropping! She received treatment for her mange and her hair began to grow in beautifully. She is living in the United States in Florida with her new family and is enjoying every moment of it. She has a big backyard to run around in, and never has to worry about being confined to a cage ever again. She is also making new doggy friends and is extremely friendly and sweet. 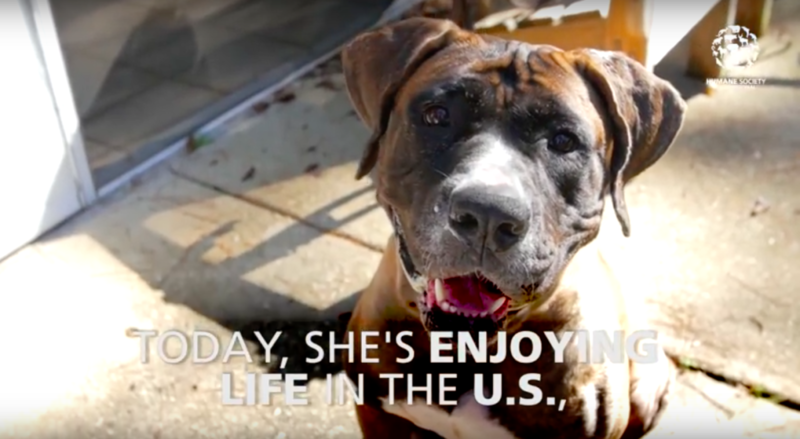 Thanks to the HSUS, Emily finally gets to feel what it’s like to love and be loved. She gets to sleep in a warm bed, get fed real food, and play with real toys. Every dog deserves to live a life like this! Unfortunately, the dog meat farm that the one like Emily was at is not the only one. 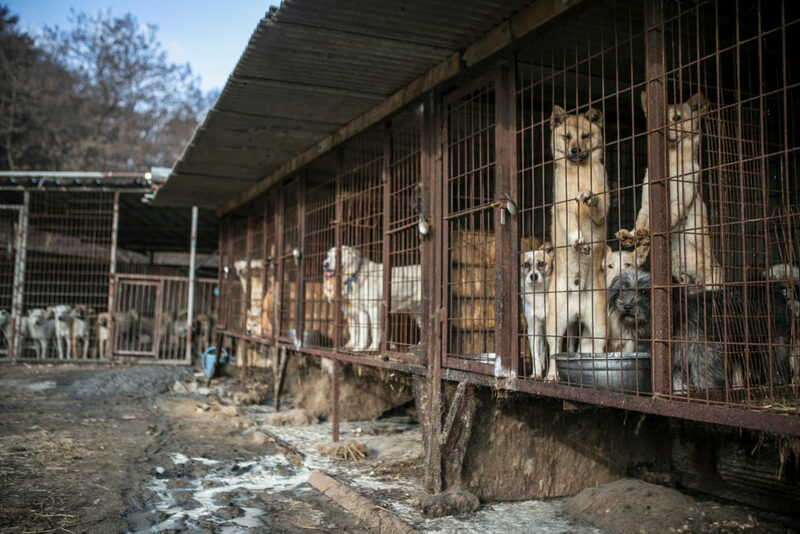 South Korea is known to breed dogs for human consumption, and has thousands of farms across the country. HSUS will continue to fight to shut down all of these farms!